Discovering new apps is one of my favourite things to do. 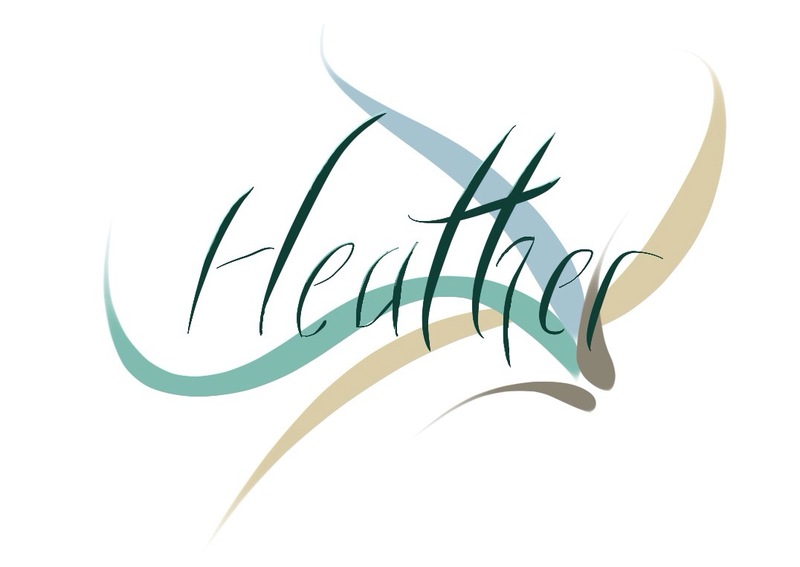 There are just so many great apps out there for all areas of one’s life! The list of apps that I wanted to share with you guys is so very long, so this will likely be the first part of a series. Yoga Studio is the best yoga app I have ever tried. Plus it was runner-up two years in a row for the Best Fitness App Ever for 2012 and 2013. It comes with 75 different classes ranging from beginner to advanced poses with classes targeted at balance, flexibility, back pain, yoga for runners and even some guided meditation classes. 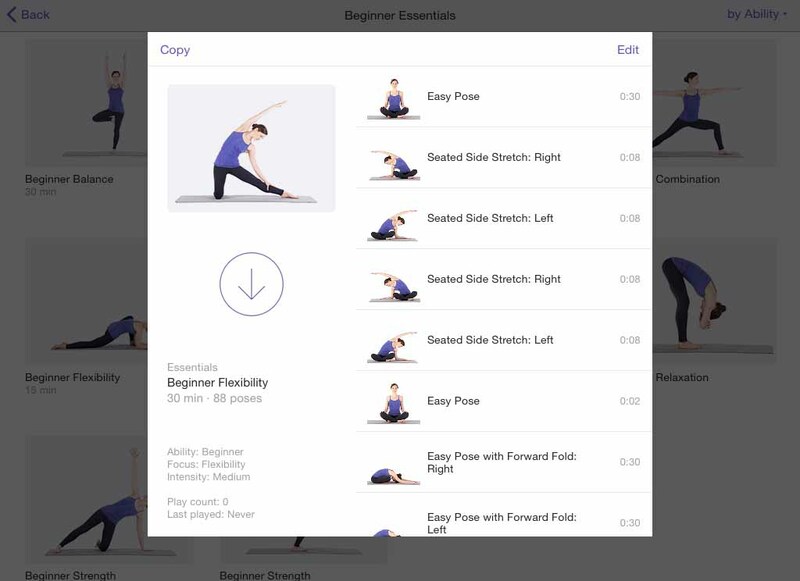 The pose base is huge and you can easily create your own classes by piecing together these poses or by using pose blocks included in the app such as various warm up blocks, sun salutation blocks, or vinyasa blocks. It also comes with a calendar that helps you track your practice and, if you enroll (for free), you can earn coupon rewards from various online companies such as amazon. The actual classes themselves have a woman’s voice talking you through the poses and giving you tips as soothing soundscapes play in the background. All of the classes, even the ones you create, come with a video showing how to transition between poses and proper form. All in all a great app. Sadly it’s only available for Apple products at this time, but according to their website there are plans to expand to Android platforms as well. $3.99 at the app store. 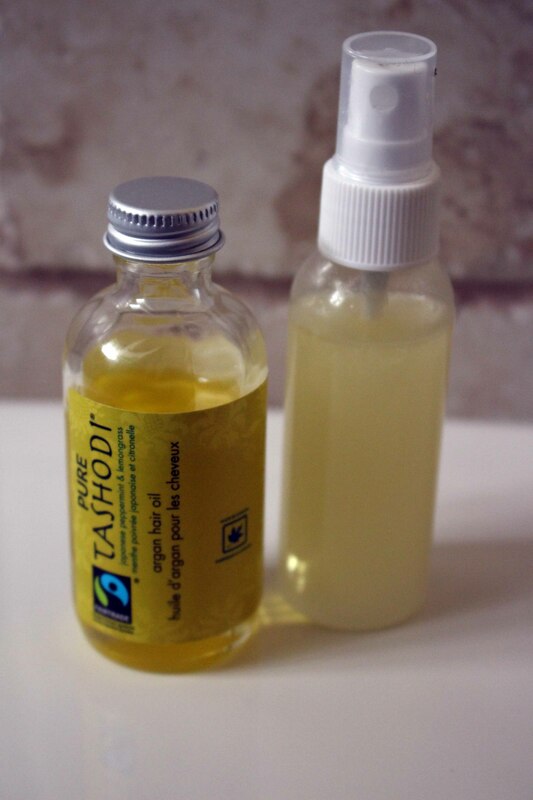 Natural Goddess is a great app for any green beauty DIY-er out there. 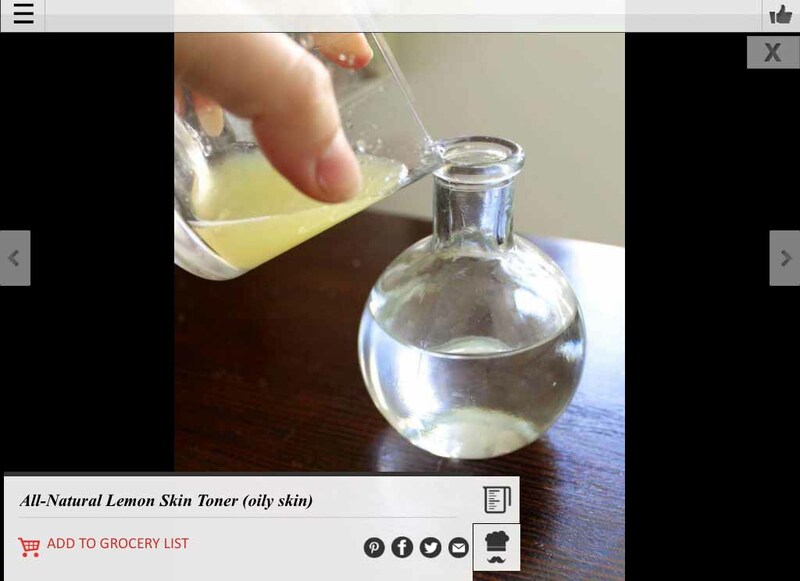 It comes with a ton of great DIY recipes for common green beauty and home products. The instructions are easy to follow and use ingredients that are very easy to find. The pictures are helpful, also, just so you know what you’re aiming for! The app is easy to navigate, and even better than that – it’s free at the apple app store! 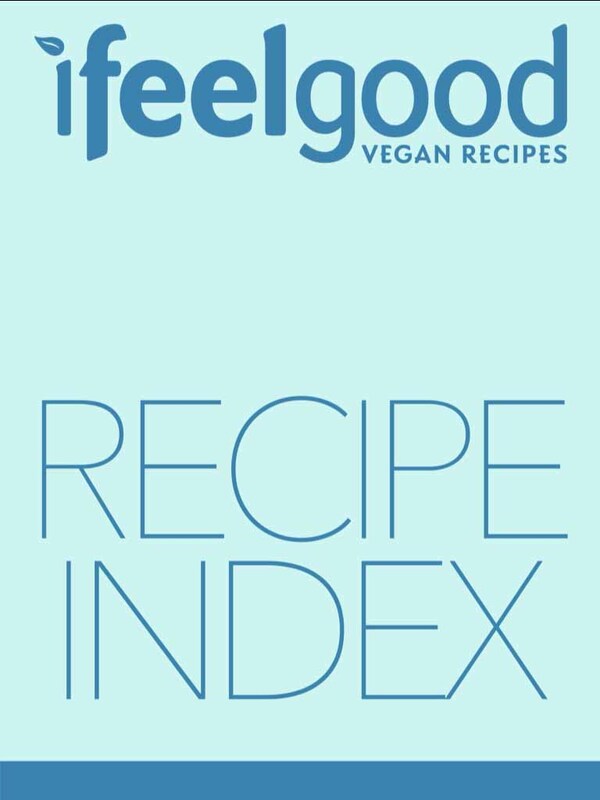 I Feel Good is a vegan recipe app/magazine in the both the apple newsstand as well as the google play store. You have so many subscription options, which allows for so much flexibility. 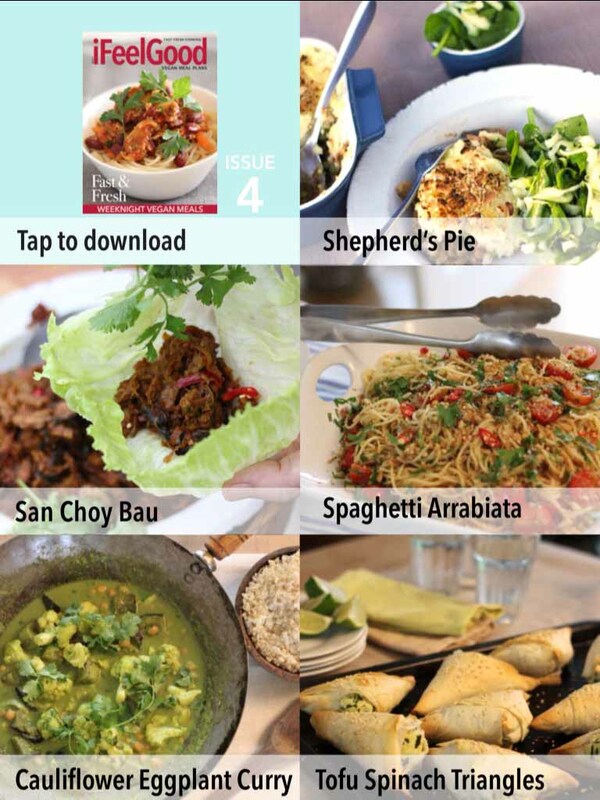 If you go for their full subscription option, you will be sent 5 – 6 recipes every week complete with meal plan and shopping list to make your vegan week as easy as possible. Another option is to use the Recipe Index to find a recipe you’d like to try and then just purchase that magazine to get the exact recipe you were looking for. All of the recipes are super easy to follow, and are totally achievable even for those who are not super confident in the kitchen. For those looking for new vegan recipes to try, for the busy vegan who needs help meal planning, or for someone new to the diet/lifestyle who would like some help to get started, this app is for you! Everything I have tried so far has been delicious!! 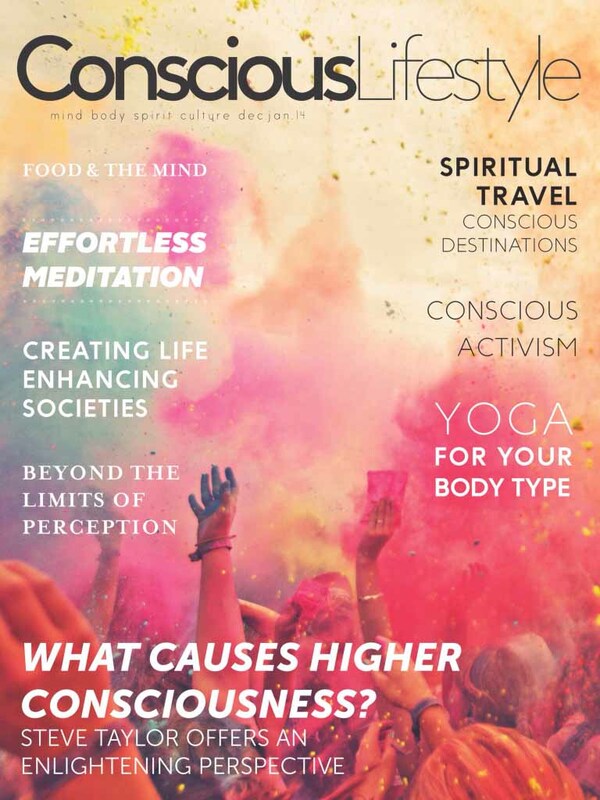 Conscious Lifestyle is a digital magazine that was started about a year ago. I signed up for it right away, as I found the premise of its initial issue very intriguing. I was hooked right away and have been a faithful subscriber ever since. Each issue is chock full of mindfulness articles, yoga tips, and meditation ideas. Not sure? You get a free 1 month trial of the current issue to see what you think. It is available for both apple and android devices. 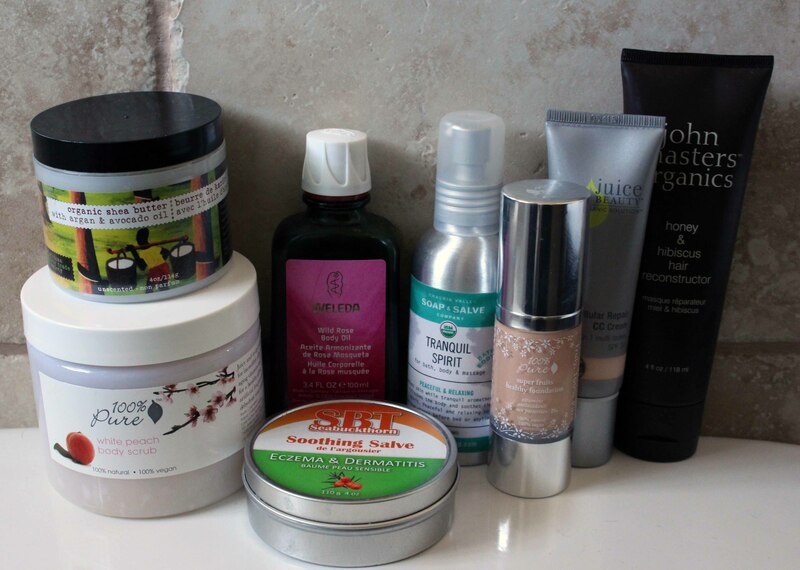 Not all eye creams are created equal. 100% Pure have outdone themselves when it comes to this product. 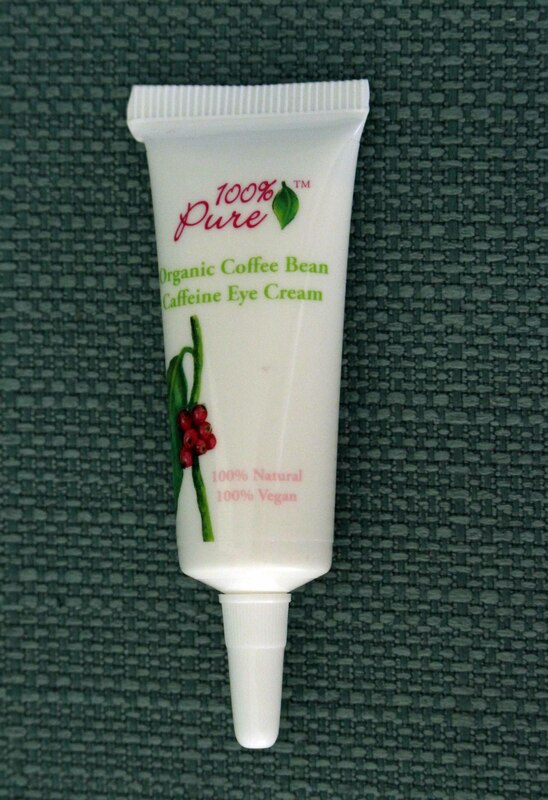 They have truly hit it out of the park with their Organic Coffee Bean Caffeine Eye Cream. 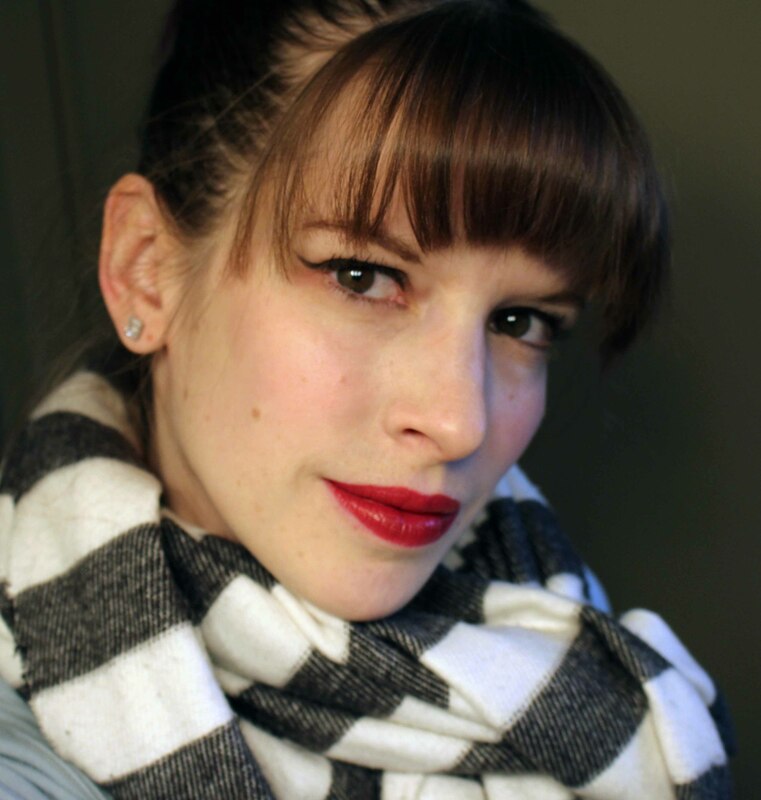 Bring out those red lips, ladies! This is holiday season! I have a confession: I’m venturing out of the world of shampoo bars. I will definitely keep some on hand for travelling, but it’s extremely basic composition, it was stripping the fun pink, purple, and teal colours out of my hair. Not ideal. 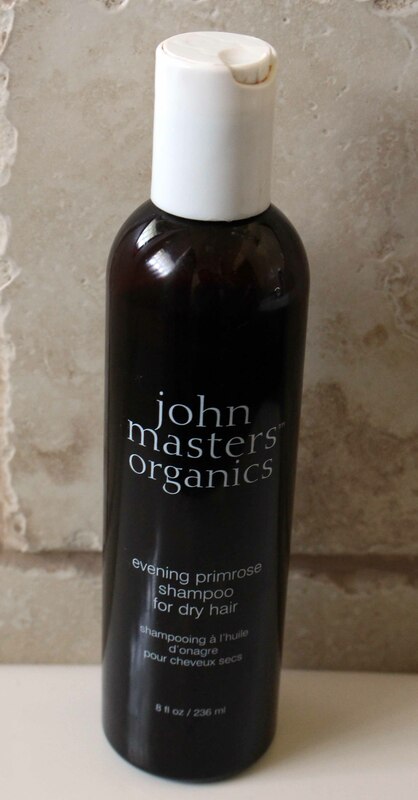 My local natural beauty store carries John Masters Organics, and since I am such a big fan of so many of their products, it was only natural that I’d reach for one of their shampoos. I was not disappointed! 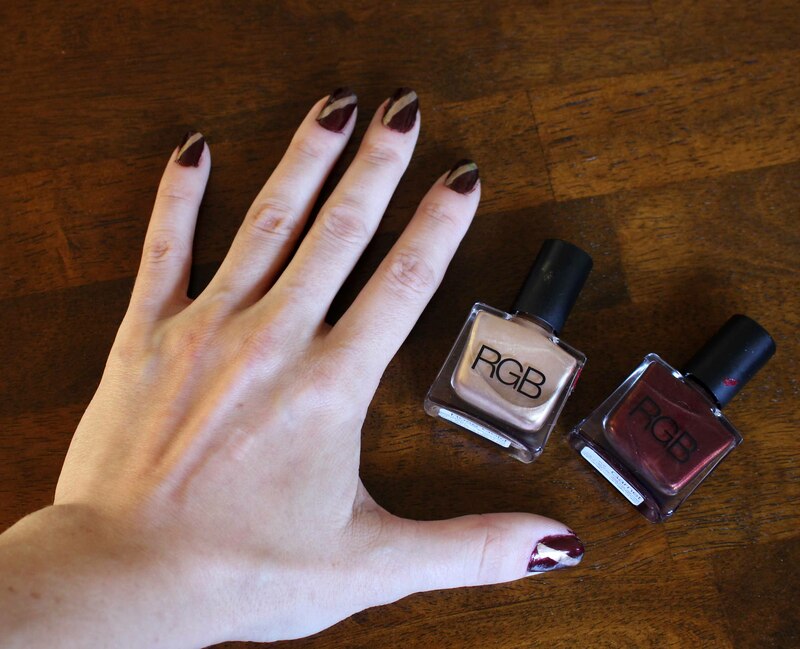 I did this manicure a while back thinking these colours would be perfect for a fall manicure….you be the judge, but I definitely feel this screams holidays and presents more than leaves and crisp autumn air.